(CBS/AP) Joran van der Sloot, convicted of murdering of a woman in Peru and long-suspected in the 2005 disappearance of American teenager Natalee Holloway, is aiming to reduce his murder sentence from 28 years in prison to 20. 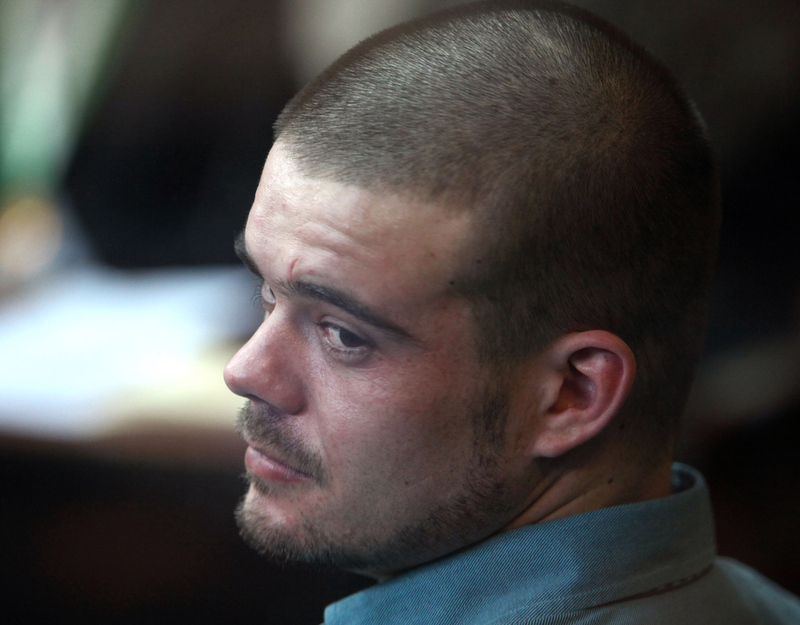 His lawyer says Van der Sloot plans to marry behind bars. On Wednesday, Van der Sloot's lawyer, Maximo Altez, filed a motion to reduce his client's sentence, claiming Van der Sloot worked with authorities during the investigation and that his rights were violated by police during his arrest. "They gave him a fake lawyer that he did not pick, he never got an interpreter; a reconstruction of the facts was never done," Altez told reporters as he left the court room. Van der Sloot was arrested twice in connection to Holloway's disappearance in Aruba but he was never charged with a crime. He was found guilty of the murder of Stephany Flores in Peru after he met her at a casino, robbed her, and killed her in a Lima hotel room in 2010. Altez said Van der Sloot has asked prison authorities for permission to marry behind bars. "He is a person who has changed ... he wants to rebuild his life, wants to be a new person," said Altez. The lawyer said that the Supreme Court will rule on Van der Sloot's marriage request in about 10 days and if he is granted permission to wed, the ceremony could take place 15 days from now. While Altez would not disclose the name of the bride, he said of Van der Sloot, "He wants to marry, change his life, start a new life." According to reports, Van der Sloot's fiancée is a Peruvian woman named Leydi Figueroa Uceda who visits him in jail often. Altez denies speculation that Uceda had a son with Van der Sloot. Van der Sloot has described himself as a liar, and during the investigation in the disappearance of Holloway, he confessed to killing her multiple times, and then retracted his statements. He was the last person known to see the teen alive. He was also wanted by U.S. authorities for allegedly extorting money from the Holloways, saying that he would reveal the location of their daughter's body.